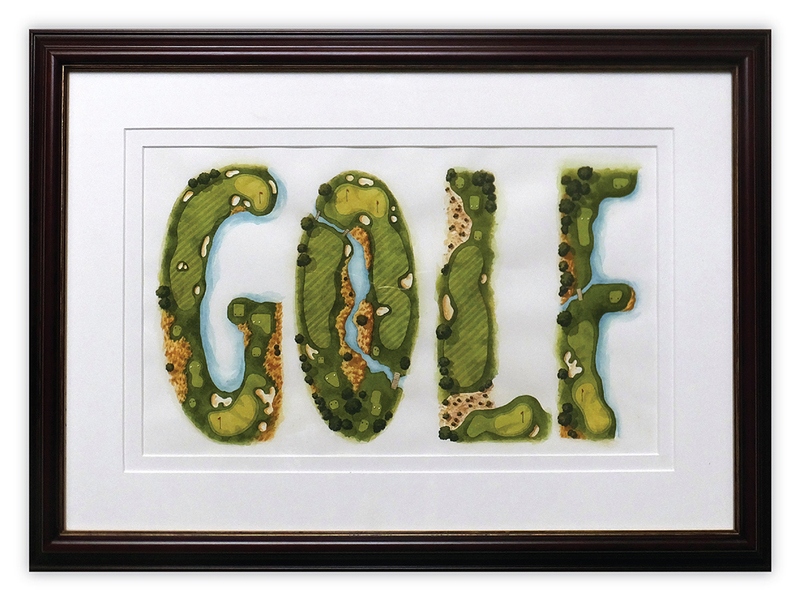 Lee has painted a wonderful, fantastic watercolor of imaginary golf holes shaped for each letter in our favorite word. Drawing on his travels around the world of golf, Lee’s vision in grass, sand and water captures the best of the greatest game. This is the original art by Lee.